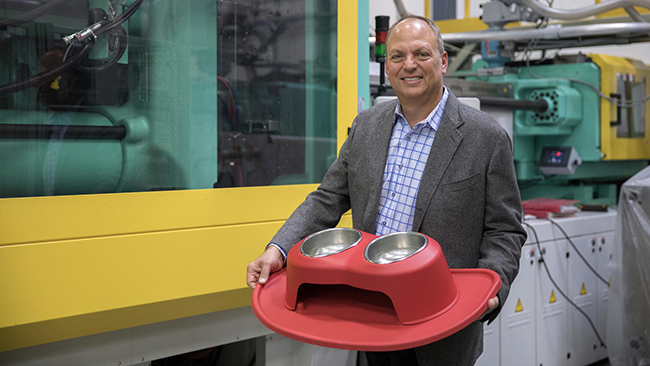 WeatherTech founder David MacNeil, who built an unlikely car floor mat manufacturing empire in suburban Bolingbrook, is launching his latest pet project this week: ergonomic dog and cat bowls. 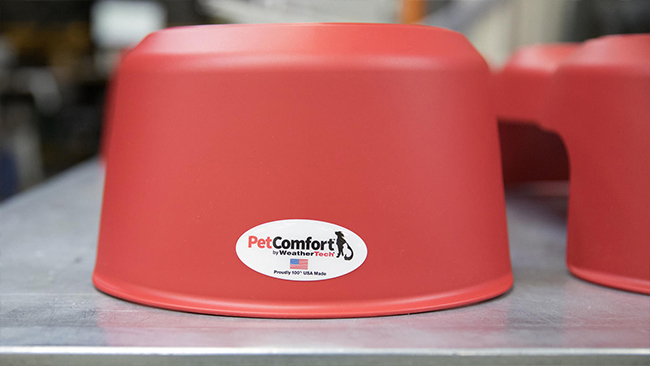 Billed as a “revolutionary pet feeding system,” PetComfort features an elevated plastic stand and mat, two oblong stainless steel bowls and a lofty price tag: $90 to $150 each, depending on size. Like he does with his floor mats, MacNeil is touting a “made in America” product — and the jobs that go with it. Unlike his floor mats, and most pet bowls, everything is certified as safe for human consumption. “My thoughts are that if it’s not (safe) for human use, I don’t really want to feed my dog out of it,” said MacNeil, a longtime dog owner, whose golden retriever, Scout, is the featured model on the PetComfort website. 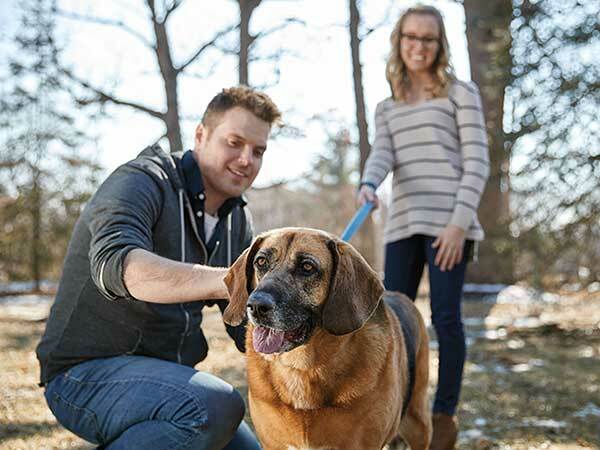 MacNeil was inspired to create the pet bowls after losing his last three dogs to cancer. He believes toxic materials in pet bowls contributed to their deaths. He pointed to a 2012 recall of imported Petco stainless steel bowls that contained radioactive Cobalt-60 as a catalyst for his new venture and a cautionary tale for pet owners. 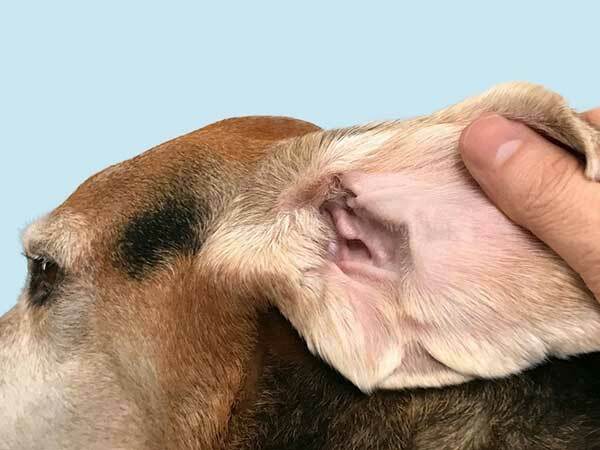 “I’m offended by people who think they can get away with substandard materials or quality control for things to do with our pets,” MacNeil said. Petco coordinated with the Illinois Emergency Management Agency on the recall, which was limited to pet bowls from two shipments. The agency issued a news release at the time assuring consumers that the contaminated bowls posed no immediate health risk. 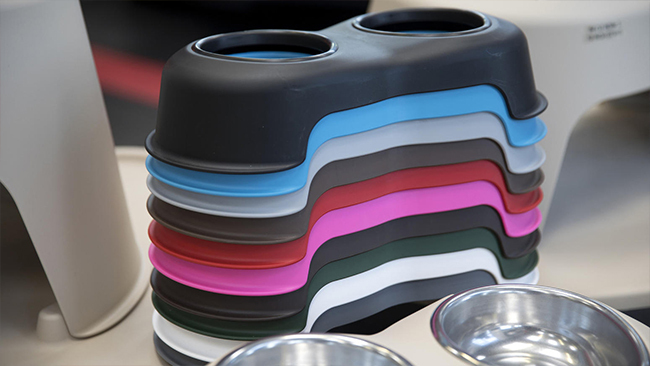 Two years in development, the PetComfort feeding system includes NSF-certified stainless steel bowls, an anti-microbial mat, and a design that makes it easier to reach that last piece of kibble, especially for older animals, MacNeil said. Manufactured at his Bolingbrook floor mat factory, there are eight sizes — based on pet height — and 11 colors to choose from. About 100 of his employees are dedicated to the pet bowl project, and he is hoping to hire more workers if demand ramps up. While doubters likely abound, MacNeil’s entrepreneurial track record and some growing trends in the pet supplies industry indicate his ambition to change the way dogs and cats eat may not be that unrealistic. “I think a few of my friends laughed at me when I said, ‘I’m selling black rubber floor mats,’ back in 1989,” MacNeil said. MacNeil, who grew up in Oak Park and River Forest, started WeatherTech out of his Clarendon Hills home. Originally an importer, he began making his own mats using outside manufacturers, eventually bringing production in-house. MacNeil relocated operations to Bolingbrook in 2009. He wouldn’t disclose annual sales but said privately held WeatherTech’s revenue is big enough to support a sprawling southwest suburban campus, 1,500 employees and an advertising budget that has included $5 million Super Bowl commercials for five years running. 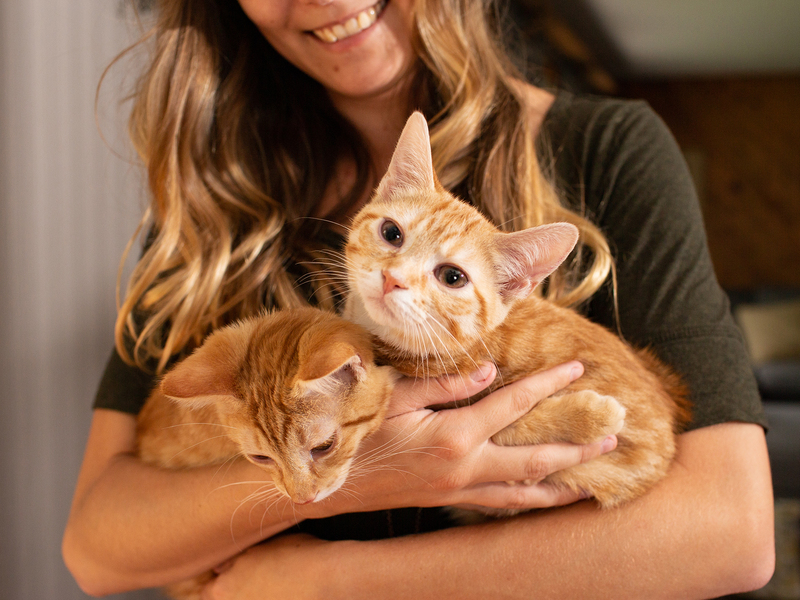 Meanwhile, the pet supplies industry is booming in the U.S., with more than two-thirds of households owning at least one pet, according to an annual survey by the American Pet Products Association, a Connecticut-based trade organization. That includes about 60 million dog households and 47 million inhabited by a cat. In 2016, American pet owners spent nearly $67 billion on supplies, with the majority going to food, the association’s survey found. The average dog owner spends $307 per year, while cat owners spend about $291 per year on food. 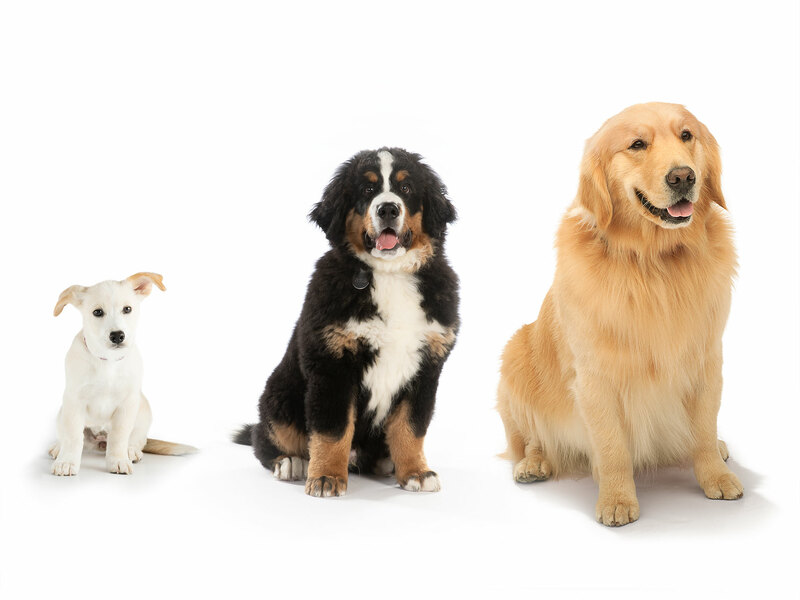 Bob Vetere, president and CEO of the association, said owners are spending more on their pets per capita, especially in categories like food, where trends in human consumption, such as organic, natural and vegan products, have made their way to the pet aisles. “It’s almost like walking into a grocery store for humans, when you start to look at the selections of dog and cat food,” Vetere said. 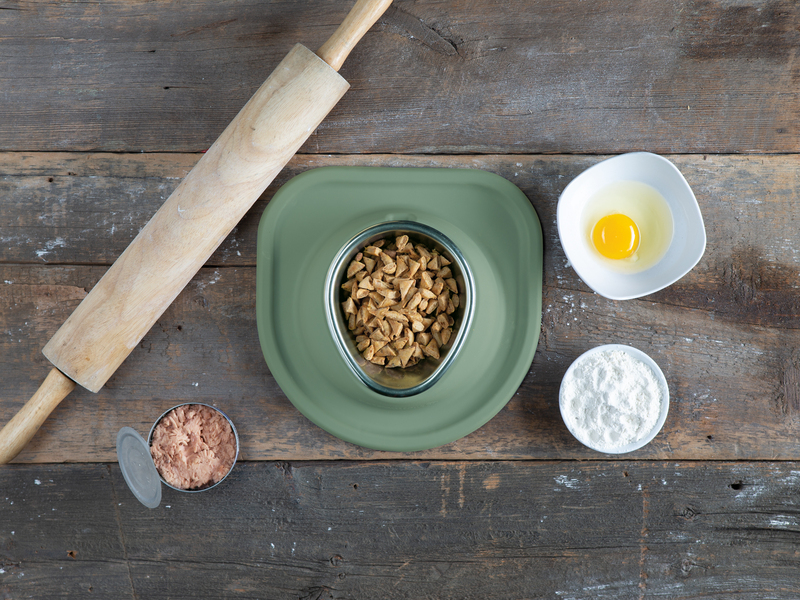 When it comes to what to serve the food in, owners are increasingly concerned about the materials used in pet bowls, according to the association’s survey. 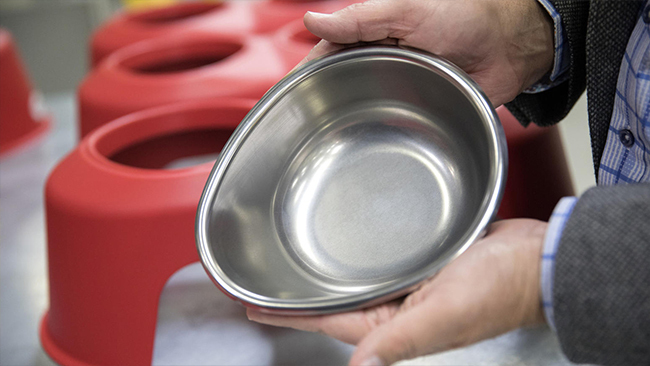 Vetere said there are ongoing studies about the effect of materials in bowls on the health of pets that could lead to a “marked shift” in demand for products such as MacNeil’s new feeding system. A ubiquitous advertiser who voices his own radio spots, MacNeil has already taken to the airwaves this week to pitch his newest product. PetComfort billboards — featuring a larger-than-life Scout selling “100% Non-Toxic” pet bowls — have also begun popping up. 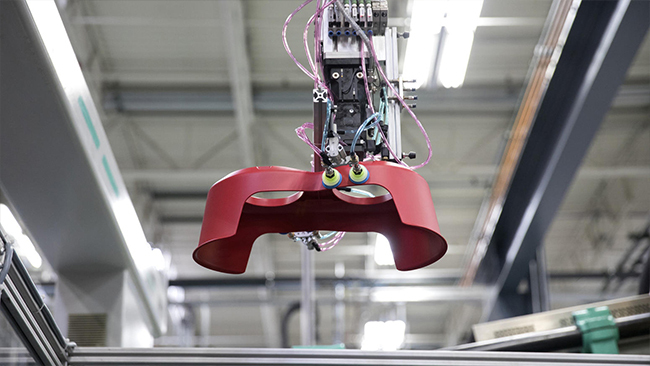 Ever ambitious, MacNeil is hoping to bring his pet bowls to next year’s Super Bowl telecast, where WeatherTech established itself as a national brand. Whether pet owners will pay as much as $150 for the PetComfort product remains to be seen, since most elevated two-bowl feeding systems sell for between $20 and $40 at Petco, PetSmart and other major retailers. MacNeil is convinced his message — and his product — will resonate with pet owners.